Compass Claims is delighted to announce its sponsorship agreement with New South Wales Rugby League (NSWRL) as official fleet provider. As of May 1, 2017, a fleet of co-branded vehicles can be seen across the state as part of the three-year partnership. Founded in 1907, NSWRL is the governing body for rugby league in New South Wales, contributing to the development of male and female rugby league talent. NSWRL also manages the NSW VB Blues competing in the State of Origin, one of the biggest annual events on the Australian sporting calendar. “We are thrilled to launch this partnership with NSWRL and act as their official fleet provider. The State of Origin is clearly Australia’s greatest sporting rivalry and we stand proud to support the Blues,” said James Frape, Compass’ Managing Director. 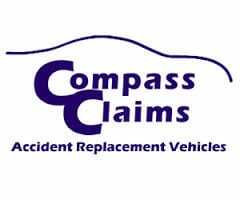 As Australia’s leading accident replacement vehicle providers, Compass Claims is proud to be supporting NSWRL, an integral organisation in the growth and development of athletes across NSW for one of Australia’s premier sports. Compass is already looking to the rest of the country to continue national support for local Australian organisations.